Old version was very bleak visually and not particularly intuitive. New design serves to guide new users and offers easy and apprehensible way to reach any setting. Even if you don't have an eligible browser for content blocking, you will be suggested to install one and then carried through the process of configurating it for the proper use of Adguard Content Blocker. New design presents tile structure that grants easy acess to any feature. We hope it will prove to be functional and eye-pleasing for all our users. As always, new version will be available on Google Play within few hours. But you can download it right now from GitHub. 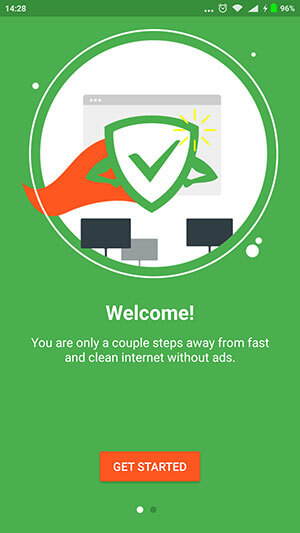 Don't miss the chance to check out Adguard Content Blocker if you haven't yet, and share your thoughts in the comment section. A short introduction: Adguard's filtering process is based on special "filtering" rules. With these rules you can tell the program where, how and what exactly do you want to block. 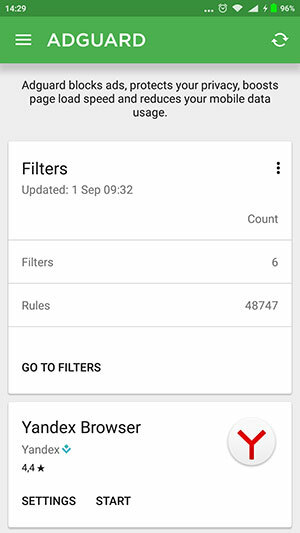 On our website there is an article with description of filtering rules syntax. It's been a long time since it was written and Adguard now has some cool new features, so we have finally decided to update this documentation.